As well as making some of the best bacon in the world, in our world class #plasticfree packaging, we also run courses on how to make it. Plus we have a passion for sourdough, and preserved vegetables, running courses for these too. Read about each course here, and click Course Dates at the bottom to view availability. 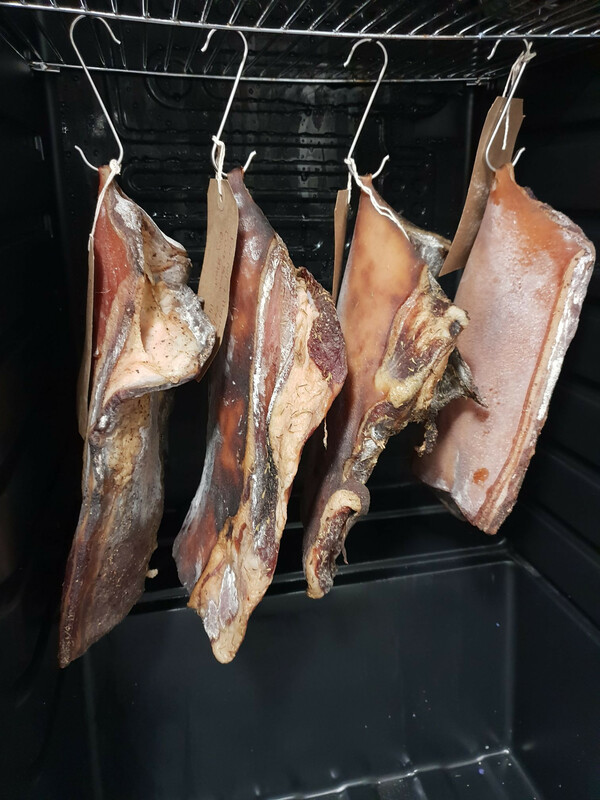 Our bacon course will teach you how to turn a pork belly into a delicious piece of meat which will keep for a long period of time in your home fridge. You'll create a cure, add some optional flavour, and take home some belly to turn into bacon. Once dried, it will provide you with approximately 30 slices of bacon. Meat is a treat. All our pork is Organic from Helen Browning's Organic, Bishopstone, Wiltshire and possibly some from Cling Clang Farm in Enstone, just a few miles up the road. The salt used for curing is from Halen Mon on Anglesey. Most of our flavours are Organic from Just Ingredients, locally foraged or grown in our own or some of our friends gardens. Why do we make bacon? How are the different types of bacon made?  - there are a number of different processes, we're concentrating on one simple one. Some science - how does curing work? 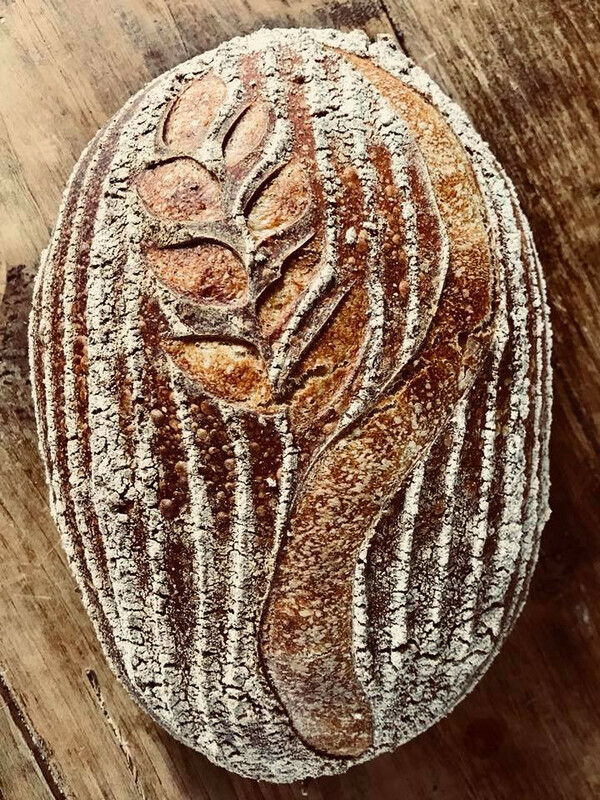 More and more people are finding that shop bread is making them ill. Seeking a better bread I started making sourdough a few years ago. On this course I teach a fool proof method to make amazing sourdough at home. You get to take home some dough and continue the proving at home, baking a wonderful loaf the following morning. Why not sandwich some of our Curious Bacon™ between two slices of bread you've just baked. You'll really appreciate the difference and not want to go back to shop bread and preservative stuffed bacon ever again. How is it different from normal shop bread?